LaPointe’s journey has been repeated by many of his peers across America. The friendly neighborhood meteorologist — found in a 2010 poll to be more skeptical than the general public about global warming — has rapidly evolved to not only accept climate change but to share the news with audiences in hundreds of U.S. television markets. Key to the shift has been Climate Central, the nonprofit that helped school LaPointe. The Princeton, New Jersey-based organization sponsors classes and webinars for meteorologists and also shares real-time data and graphics with TV stations. The group has reached more than 500 local TV weathercasters — about a quarter of those working in the U.S. — since it started its “Climate Matters” education program in 2012, and it is expanding this week to a wider group of journalists. The inroads with meteorologists are particularly significant because local TV news remains the top source of news for most Americans. And George Mason surveys have shown that when it comes to climate issues, the public trusts their familiar local TV personalities more than anyone, other than scientists and family members. While 70 percent of Americans now accept that global warming is occurring, and 58 percent agree that it is mostly caused by human activities, most people still don’t express urgency about the problem. It’s not listed as a pressing issue by most voters and just 39 percent believe that climate change is causing harm right now, according to a March George Mason survey of 1,278 adults. The researchers at George Mason and communications experts at Climate Central believe the big changes needed to slow global warming will happen only when citizens sense the urgency of the threat and the opportunity to make things better. Under a National Science Foundation grant, with research support from NASA and the National Oceanographic and Atmospheric Administration, George Mason and Climate Central have collaborated on the Climate Matters project to get weathercasters to report on global warming. It was just eight years ago that the George Mason climate group surveyed 571 weathercasters and found that only about half believed in global warming, while one-quarter said it was “a scam.” The dim view of climate science, coming from some of the people most likely to talk to the public about it, made the front page of The New York Times. The divide between TV meteorologists and climate scientists may have been exacerbated by differences in education, some experts believed. Meteorologists generally hold bachelor’s degrees and work with short-term data to project weather over a week or two. Research scientists, usually Ph.D.s, chart trends over decades and even centuries. By 2017, a new survey of broadcast meteorologists by George Mason found that views had shifted rapidly, with an overwhelming 95 percent saying they believed that the climate was changing. Still, some expressed misgivings about discussing the issue on the air. Roughly one quarter worried that if they raised the subject, “the feedback from management is or would be predominantly negative,” the survey found. Placky said TV meteorologists also tend to feel that their hands are already full, between predicting the weather and producing on-air reports, while also filing online updates and posting on social media. Many TV weather people leave discussion of climate issues for news anchors and reporters. “It’s been strictly seven-day forecasts. 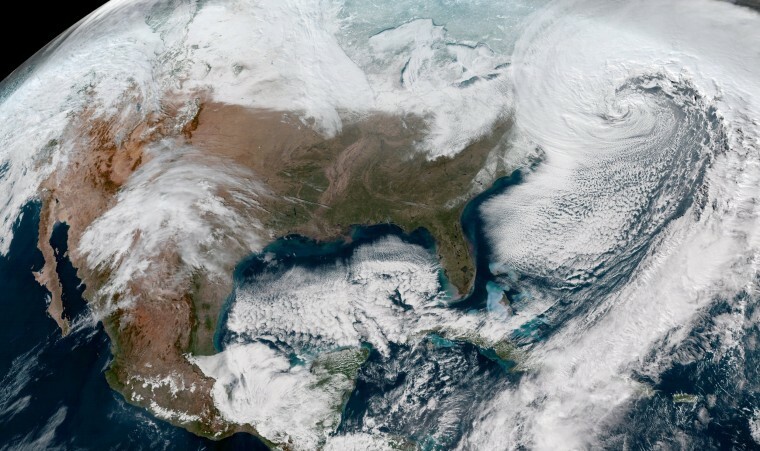 We talk about the weather — that’s what people want,” said Greg Pollak, who has worked at five stations in North Dakota, Massachusetts and New York in his eight years in the business. He said he has never been asked to tackle climate issues in any of those jobs. Contrary to fears that viewers in the conservative state might be turned off by Gandy’s reports, a review found that viewers knew more about climate change after seeing his stories. And ratings for the overall newscasts on his station, CBS affiliate WLTX in Columbia, increased, though it is impossible to know if the jump was connected to Gandy’s reporting. “But in my mind it smashed the idea you can’t talk about climate change because you will turn people off,” said Gandy, 65, who has been on the air for more than 40 years. Climate Central now routinely provides local climate information for 244 cities in the U.S., said Placky, the group’s director. Meteorologists can plug their city into a Climate Matters search page and find analysis of local climate impacts — often backed by NOAA and NASA experts, along with ready-for-air charts and graphics. The results of the pre-packaged material can be seen across the country. LaPointe recently stood in front of a Climate Central chart showing how average temperatures in upstate New York had jumped 1.6 degrees Fahrenheit, on average, over the last three decades. An NBC affiliate in Connecticut displayed a Climate Central chart depicting a 20-day increase in frost-free weather annually and, thus, in the length of allergy season. And multiple stations used the organization’s data on how higher temperatures and humidity had lengthened the mosquito season. "It’s time to move beyond the question of ‘Is climate change happening?’"
Anthony Yanez, a meteorologist at KNBC in Los Angeles, said he saw the wave of stations across the country offering reports on the potential climate-beer connection, and he credited Climate Central. “They have information that’s easy to get, easy to use and that gets right into the local market,” said Yanez, who recently produced a segment on the increased wildfire threat, tying it to global warming. The logistical help is particularly welcome in an era when local TV news operations have sustained staff reductions, said Tom Rosenstiel, executive director of the American Press Institute, a think tank on sustainable journalism practices. Rosenstiel said there’s no problem with news organizations using data and graphics from groups like Climate Central, as long as outlets know the source of the information and report it clearly to viewers. “The stations still need to be gatekeepers, assuring that the information is good and that their audience knows where it’s coming from,” Rosenstiel said. The Climate Matters program has been successful enough with forecasters that organizers are expanding it this week to workshops for other journalists. The first training is being held for print and radio reporters at the University of South Carolina, with four more sessions planned around the country through November. LaPointe said he has run into no opposition as he has increasingly folded climate reporting into his weather forecasts, including from the Sinclair Broadcast Group, the conservative-leaning company that owns his upstate New York station. “There is zero pushback. Nobody has said ‘You can’t do this.’ Nobody has said ‘You cannot say this,’” LaPointe said.